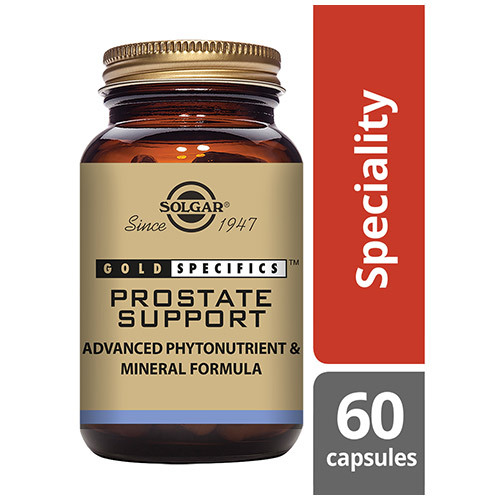 Solgar® Gold Specifics Prostate Support is part of the Solgar® Gold Specifics premium range of natural formulas created for the support of specific functions in the body based on nutritional science. 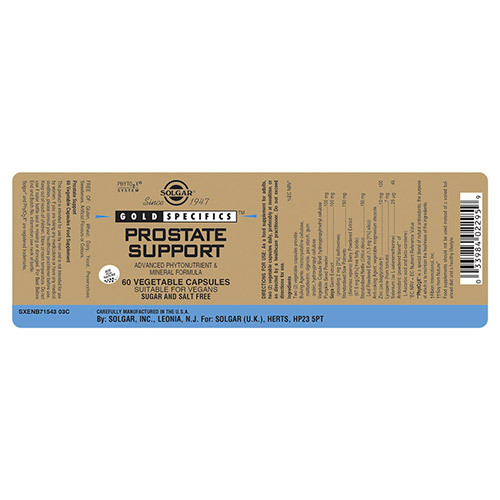 Gold Specifics Prostate Support contains a wide range of ingredients such as pectin, nettle leaf, saw palmetto berry, lycopene, pumpkin, soy germ, selenium and zinc. Pectin is a carbohydrate extracted from fruits, vegetables and seeds. It is a food stabilizer or thickening agent. Citrus fruits contain the largest amount of this natural fibre. Pumpkin seeds have been used for centuries by Native Americans before spreading to Europe. Soy Germ comes from soybeans. It has been used for many different purposes as it contains isoflavones. Saw palmetto is a rich source of phytochemicals. Lycopene is a bright red carotene and can be found in most red fruits and vegetables. 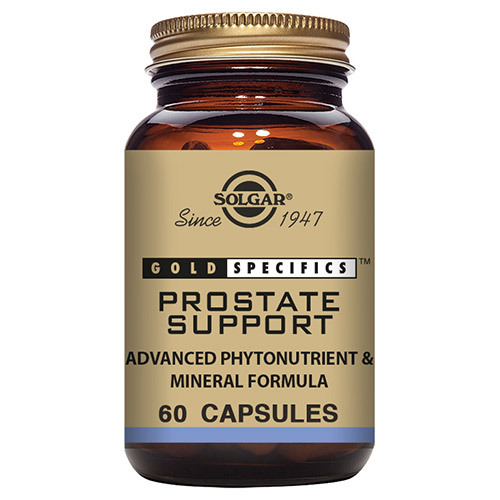 Solgar® Gold Specifics Prostate Support is to be taken as 2 vegetable capsules daily. A special powdered blend of beta-carotene and ascorbic acid (PhytO2X®) has been added to this formula to maintain the freshness of the ingredients. 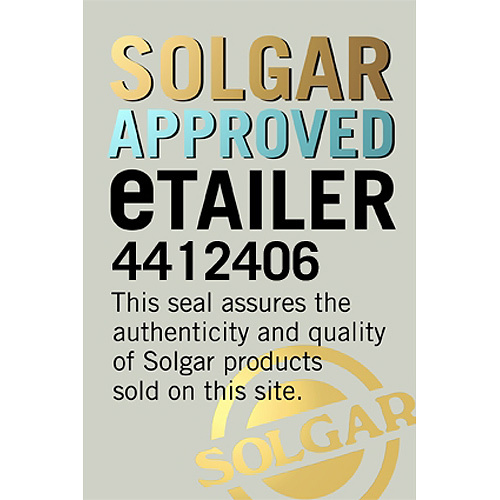 Also contains: Bulking Agent: microcrystalline cellulose, Hydroxpropyl cellulose, Vegetable Capsule Shell (hydroxyproplmethyl cellulose), Anti-caking Agents: vegetable magnesium stearate, Antioxidant (powdered blend of beta carotene prep. and ascorbic acid). As a food supplement for adults take two vegicaps daily, preferably at mealtime, or as directed by a healthcare practitioner. 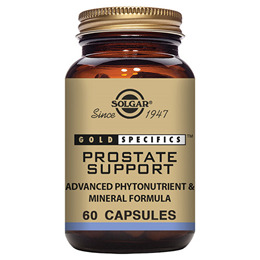 Below are reviews of Solgar Gold Specifics Prostate Support - 60 Vegicaps by bodykind customers. If you have tried this product we'd love to hear what you think so please leave a review.